Picture Addition – How Does Your Garden Grow? Sums to 5. 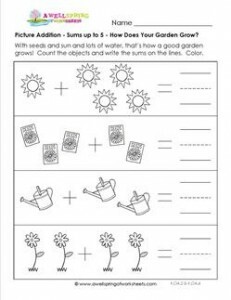 Follow the steps in this picture addition worksheet to grow a garden. Sunlight, seeds, water and viola!…flowers.